This calendar of the rolls of the Eyre held in Derbyshire by a group of justices on circuit in the northern counties, led by John de Vaux, is the first edition of the records of an Eyre of a major English county from the reign of Edward I, and the first of an Eyre held after the remodelling of the jurisdiction of the general Eyre in 1278. The calendar covers the whole business of the Eyre except the pleas from &apos;foreign&apos; counties. Many of the civil pleas are traced through their progress in the Lincolnshire Eyre which immediately followed, or in the court of Common Pleas at Westminster or at Shrewsbury until early in 1283. The quo warranto proceedings, some of the earliest in the East Mid�lands, are given particular attention, and their later progress in the court of King&apos;s Bench is followed; in them we see the later chief justice Gilbert Thornton at work as the king&apos;s attorney. 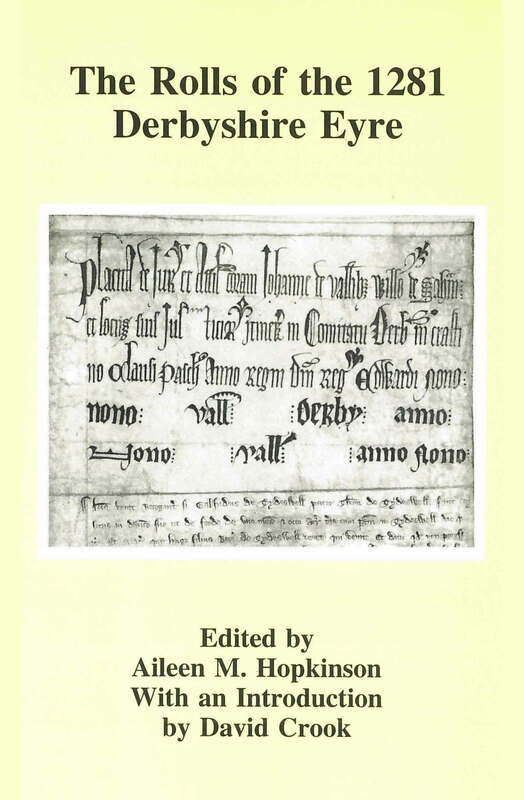 The introduction, written by the leading modern authority on Eyre rolls and a former assistant keeper of public records, provides a full survey of the variety of writs pleaded in the Eyre. The civil pleas well illustrate the development of the common law in the period. Some show how clauses in Magna Carta worked in practice and there is much to illust�rate legal and local administration. 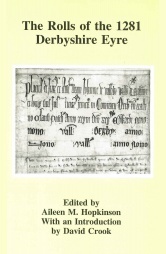 Many of the large number of Crown pleas relate to violent death and provides glimpses of daily life in both the countryside and the towns of thirteenth–century Derbyshire.